If there’s one thing we spend our teenage years doing, it’s wishing we could move out of home and have our own lives. The freedom of no rules is something every young adult desires. The trouble is, we really don’t consider the cost. The emotional cost of moving out of the family home is one thing, but the financial cost is quite another. This move is the transition you will make into independence, so it’s only fitting that you are financially secure before you go. Preparing to rent a home away from mom and dad may feel like you are throwing money into someone else’s mortgage, but what you learn when you live away can teach you so much about yourself and be far more valuable than spending years saving for a buying deposit. Budgeting for living by yourself isn’t an easy task, but it’s one that is necessary. You not only have to think about your utilities and other living expenses, but you have to think about the initial rental deposit you will need. You can get online payday loans to help start you up if you need cash quickly. You can also tap into the bank of mom and dad and hope they can help. Either way you need to be financially prepared for the change ahead and we’ve got some great tips to help you get there. Get A Job. Okay, so we don’t mean to sound ironic here, but if you want to be mature enough to fly the nest and strike out on your own, you have to be mature enough to financially support yourself. There are so many great options out there for quick fixes for your finances, but you need to think of the long-term security involved in renting a home. Don’t forget, there aren’t many landlords out there that will accept your application without a job reference, so it’s in your best interests to work out the best way to support yourself. Plan Savings. Hopefully, you will have been working for a while before you actually fly the nest and this should allow you to make up some savings. When you move, you should leave some money in that savings account as a cushion to help if things go wrong. Having savings ready will help in the event of anything going wrong, such as job loss or any of your things needing replacing. A good landlord should replace anything that’s already in the home! Get Started. You have to be ready financially to move to a new house, and this includes buying your own furniture ready to move in with. It would be nice to find an apartment that is furnished and ready for you but it’s always good to have your own things. You can do this slowly so you don’t deplete your savings and you could always store it at your parent’s house until you’re ready. 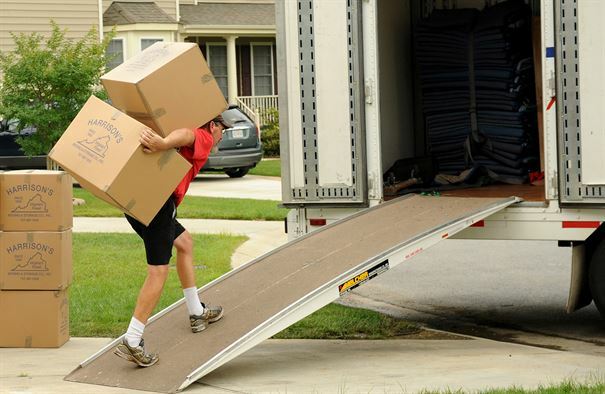 Moving to a new house doesn’t have to be a huge headache – it just takes clever planning and preparation to get you where you need to go.